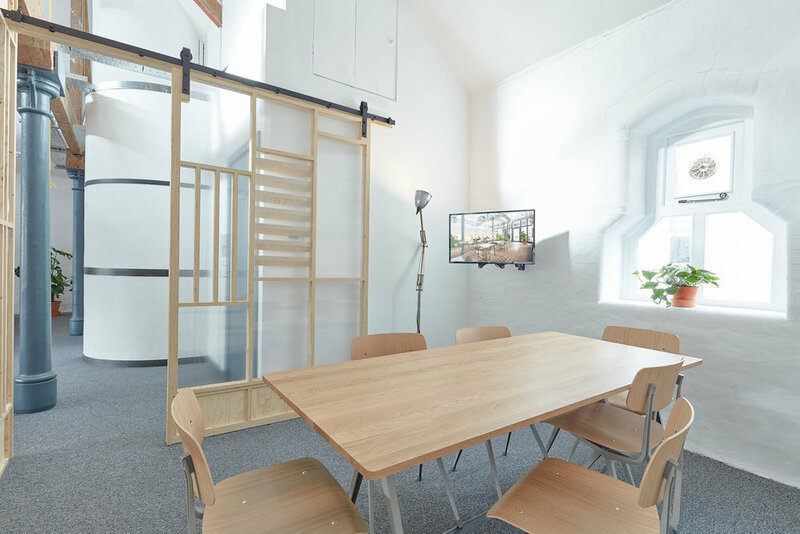 Framework is a new coworking space located in the heart of Bristol. We are dedicated to tech and digital creatives - people who design, code, create amazing new products and innovations, have a small agency, design, video or illustration practise. Framework has a range of coworking, dedicated desks and team pods; as well as meeting rooms, a library, a lounge, collaboration space, phone booths, shower, free tea and coffee plus 1GB fibre. All housed in a stunning Grade II listed warehouse in the best street in town. We host an extensive programme of events and workshops to support both our members and tech scene in Bristol. Come to a meetup on AI, building your own websites, network with a robotics designer, see a games design workshop, or get a mentor for your startup. It's amazing what can happen when you’re part of a diverse, vibrant and innovative community. Full time tariffs start at £100. Contact us for more information! Thank you for taking a moment to sign up! have your post sorted and stored in your own personal post box. Bristol Temple Meads train station is a 15 min walk or a 5 min taxi ride and we're on bus routes 6, 7, 24, 36, 39, 42, 43, 44, 45, 70, 73, 75, 76 and 90, with bus stops on Broad Quay and Baldwin Street. There are public car parks on Prince Street and Queen Charlotte Street and The Grove. We have cycle racks immediately outside our front door and showers for sweaty cyclists (and sweaty non-cyclists). Join us for our public meetups, talks, and workshops, or if you are a member you can get involved with lunch-and-learns, mentoring, socials and much more. To run your event at Framework please contact alex@forwardspace.co.uk for more information. Full list of upcoming events here, or subscribe to the RSS feed. Framework is dedicated to providing the best experience to as many people working with us as possible. As such, please let us know if we could be doing anything better. When visiting please note 35 Kings St. is a heritage building with a wheelchair accessible ground floor with uneven stone flooring. The other three floors are accessed via stairs only. There are toilets on each floor and a shower on the ground. At Framework we appreciate that people don't always work best within a single environment. We have shaped our space. This means that within the limitations of the building, you should always be able to find a noisy, quiet, airy, closed off, or busy place to work. Also, being close to parks, pubs and cafes Framework is an ideal place to work on whatever you need to get done. The 1st and 2nd floors are quiet work environments. The 3rd floor is slightly busier with tall ceilings. The ground floor will be busy, with more of a cafe feel and music playing. Framework is a tech space but it doesn't mean we don't care about the environment. We will be doing our utmost to insure our service is supported by the best eco practises from cleaners to water, recycling and power usage.